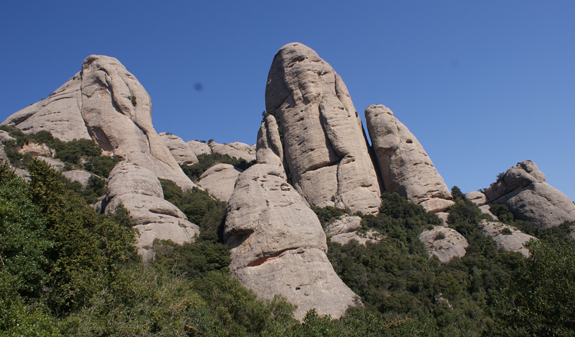 The best way to discover Mount Montserrat is on foot. As you walk among its unique rocks you'll understand why this natural park is a must for hikers and climbers from around the world. 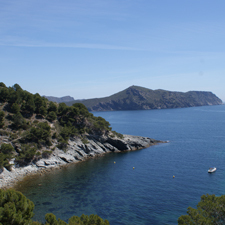 Just 50 kilometres from Barcelona. Visit the mountain with a professional guide who will tell you about every detail as you walk and adapt the route to your own pace. 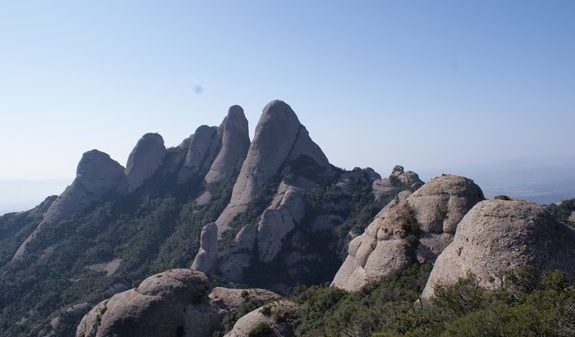 Scenic Walking Barcelona offers you a package including travel on public transport from Barcelona and a medium-difficulty guided itinerary of Mount Montserrat. 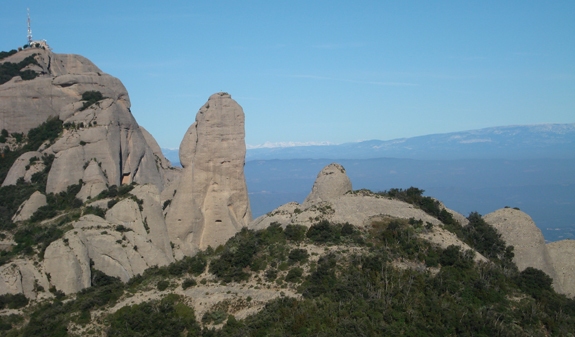 In addition to being a unique natural park, made up of a series of unique rock formations, Montserrat has a Benedictine monastery and a rich history. 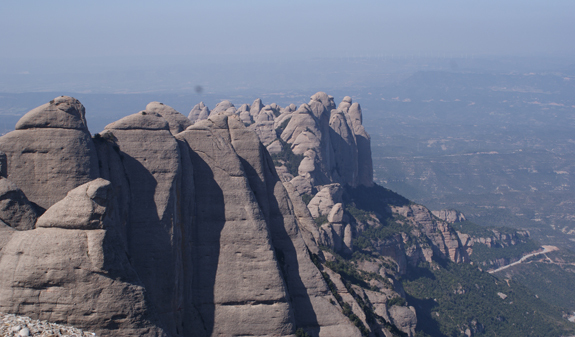 The route will take you to the Miranda de San Jeroni, the highest peak on Montserrat, standing 1,236 metres high. 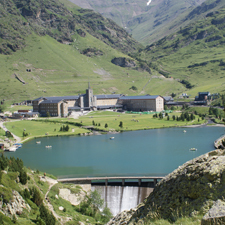 From here, you'll enjoy matchless views of the interior of the mountainous massif and neighbouring counties. The Miranda de San Jeroniis considered the "roof" of the counties of Bages and Anoia. During the tour you'll stop off at different chapels on the mountain. 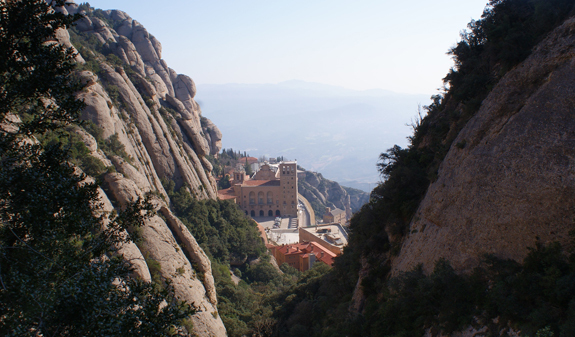 And at the end of the walk, you'll be able to visit the monastery and see the Virgin of Montserrat, affectionately known as "La Moreneta", or Black Madonna. This 12th -century polychrome carving of the patron saint of Catalonia is the icon of Montserrat. 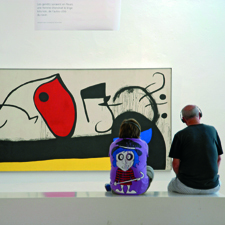 Guided walking tour in English, Catalan and Spanish. Times: Monday to Friday at 8.30am. Closed: 1st and 6th January, 25th December and 26th December. From 1st to 31st August. Lenght: 4 hours plus 2.30 h round trip. Meeting point: ticket offices at the FGC (Catalan Railway) station in Plaça Espanya, opposite line R5 to Manresa. Please wear comfortable walking shoes (no flip-flops). 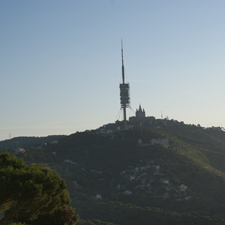 Run in association with the ramblers' association, the Unió Excursionista de Catalunya.